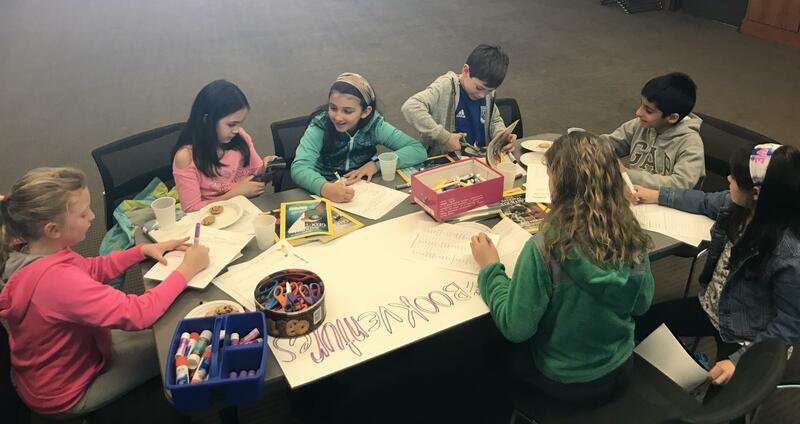 The Needham Free Public Library's Bookventurers Book Club club is an opportunity for kids in grades 3-5 (and their families!) to explore reading interests in a wide variety of genres with a wide variety of topics, discuss books with their peers, and participate in a range of book-themed activities and crafts. Every month is a new book so you can come to as many or as few as you want and can! The club is aimed at children in grades 3-5, but younger or older children who want to participate are welcome. Parents are also welcome to participate, although they are not required to do so. Most book clubs will last an hour, beginning with introductions and an informal discussion of the book (questions are provided, but kids are welcome to come with their own!). After discussion, there will be an activity or craft, and for the book clubs where an author can visit in person or via Skype, they will wrap up with author talks or Q&As. Snacks will be provided for each meeting; please let us know ahead of time if your child has any food allergies. The goal is to first and foremost encourage reading and engagement with reading. This club is also in response to community requests for such a club at the library. The Bookventerers also seek to encourage participants to read a wide range of books, to explore ideas inspired from the books, to bond as a community of book lovers, to learn about writing and publishing (when authors visit), and most importantly to have fun. Please let us know if there are any books you desperately would like us to use and we will see what we can do. Also, if you’ve participated before, please let us know what you liked and didn’t like and why so we can continuously improve the experience for others. If you are interested in participating in the Bookventurers Book Club for children in 3rd-5th grade, please fill out this Survey.